Thanks to popchips for sponsoring today’s discussion. Check out their awesome sweepstakes that ends 5/31. I’m not a huge chip person. I’ve always had more of a sweet tooth than I have a salty snack muncher tooth (is that a thing?). Anyway, I used to really like salty snacks when I was a kid and I still lived in Poland. In fact, I ate chips fairly often (and by that I mean a few times a week). I remember the first time I tried a flavor other than the “original” flavor or just the corn flavors (the chips we had in Poland weren’t very exciting when I was a child). I think it was ketchup flavored. Yes. Us Polish people love our ketchup, don’t judge, haha. Anyway, my mind was blown. It was so deliciously perfect. I still remember it (is that sad? lol) but it was just a really damn good chip! So anyway, fast forward.. I am not a huge chip person now. But that’s not to say I dislike chips. Chips are pretty damn awesome, I just don’t crave them very often. BUT when I do crave chips.. there is a specific flavor of chips I prefer over others. And that flavor is….. BARBECUE! Where are my other barbecue lovers? Maybe it’s that it’s still technically a condiment but maybe not but regardless Barbecue chips are pretty darn delicious. I was actually hosting a book club last week and someone brought barbecue chips, I forgot what brand they were, and we had a discussion how it’s so hard to find barbecue chips that are actually good. Interesting, I thought, very interesting. I guess they haven’t tried these glorious popchips snacks yet. 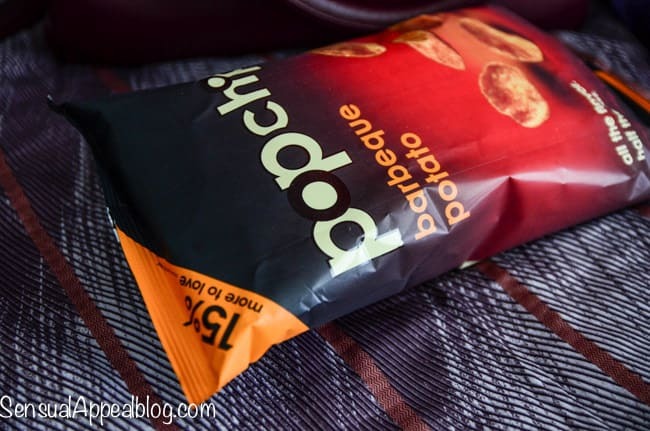 Truth be told, I forgot about popchips (or any chips really) but then we had that conversation and it’s like a light bulb went off in my head and I had to get my hands on them! popchips are now sold at over 20,000 retailers across North America and the UK, including Whole Foods, Safeway, Kroger, Target, and select Costco locations as well as online at the popchips store. Oh yeah, SWEEPSTAKES! I have to tell you about this one cause it’s pretty sweet. Enter your popchips love story to win the More to Love Sweepstakes, which ends on 5/31. CLICK HERE to enter. Everyone who participates will receive a $.55 off coupon and a chance win a date night package ($500 & 3 cases of popchips). I dig. Hahaha, I don’t even like barbecue chips, but the BBQ pop chips have GOT to be my #1 fav! 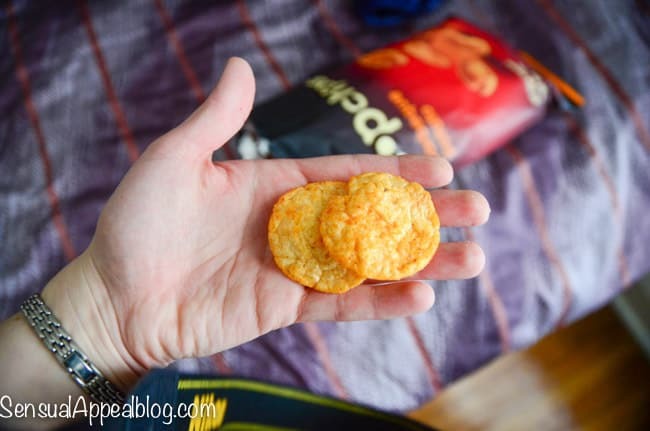 Is this berbeque chips help in weight loss? or what is its usefulness to blood stream and body in general?. I only consider eating foods when it adds value to my body. I love these chips and can eat the whole bag at a time. yummy! 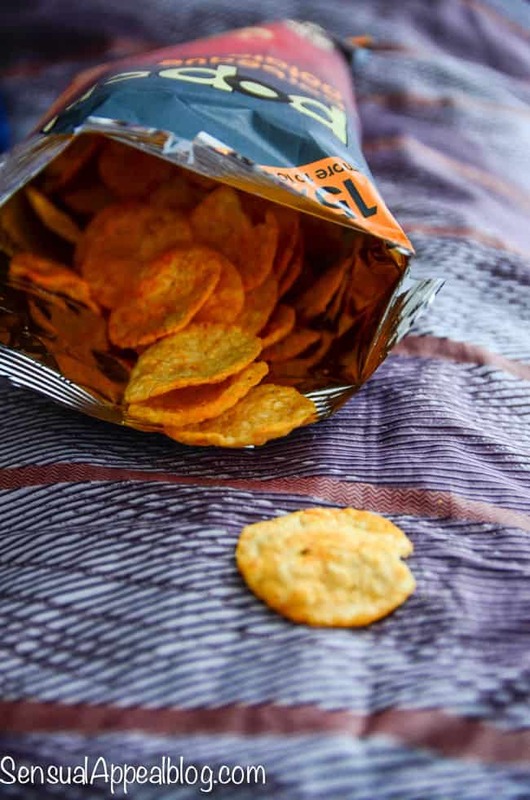 i enjoy popchips — is this the same company that makes popcorners? i love those as well! Oh I haven’t actually heard of those!